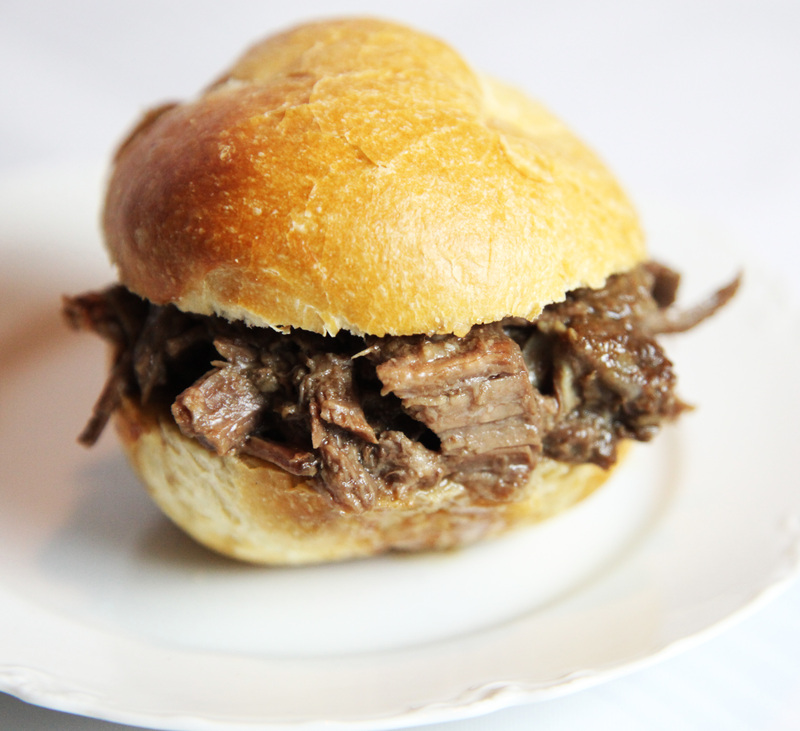 4 Easy Steps to Potluck-Perfect Crock Pot French Dip Sandwiches! We love this recipe, as it’s become a go-to for us when we need to provide a delicious meals for a cast of many! 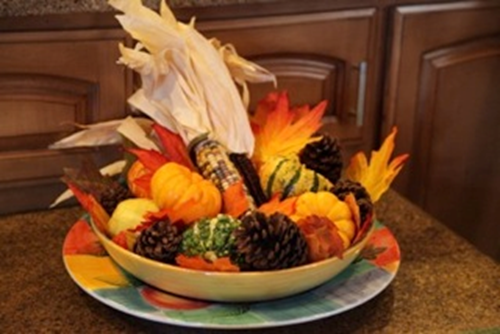 About 10 years ago, our good friend Sherry shared this family favorite, and we’ve been making it ever since! We love that you can “set it and forget it”, it’s affordable to whip up, and it’s a serious crowd pleaser! You can pair it with a salad, and some crusty buns and that’s all you need for a yummy and filling meal for your whole crew. 2. 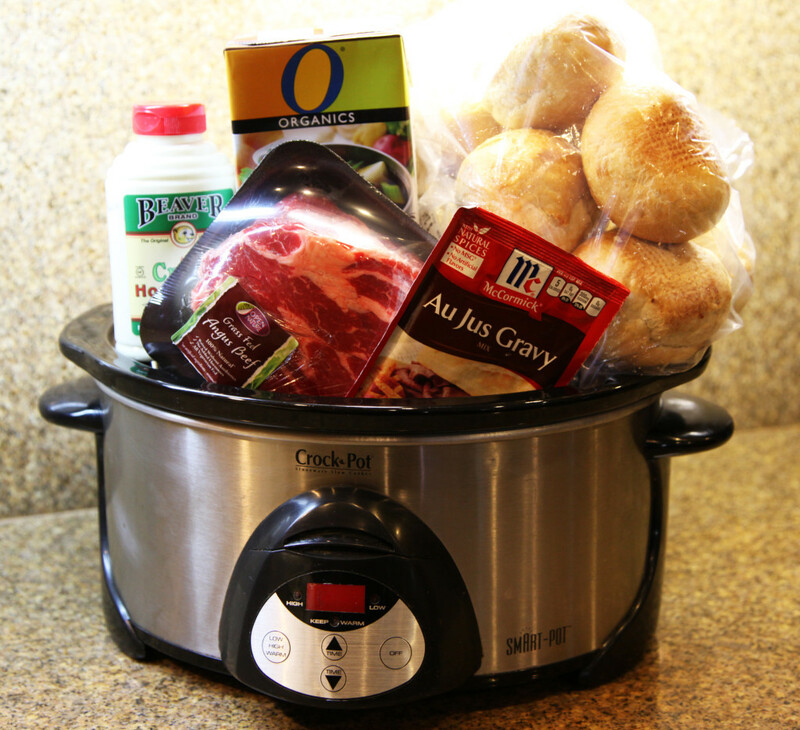 Set your crock pot on High for 4 hours, and line under the lid with foil to keep steam and heat in. This will definitely help everything cook faster! You can also cook on low for 7-8 hours without the tin foil liner if you’re not in a hurry. 3. Once the meat is finished cooking, carefully remove and shred the meat and then add back to the au jus in the crock pot. 4. Serve with crusty buns and condiments like mustards and horseradish! Delish! I am going to try this recipe in the crock pot tonight! Made this yesterday and it was sooooo good. Thank you Jessi for the recipe.